Available with 130PS three-cylinder Puretech petrol engine and 85g/km 1.6 eHDi diesel engines. European Car of the Year 2014. Big and practical boot. Not as good to drive as a Leon ST. Touchscreen system takes some getting used to. Small glove compartment. 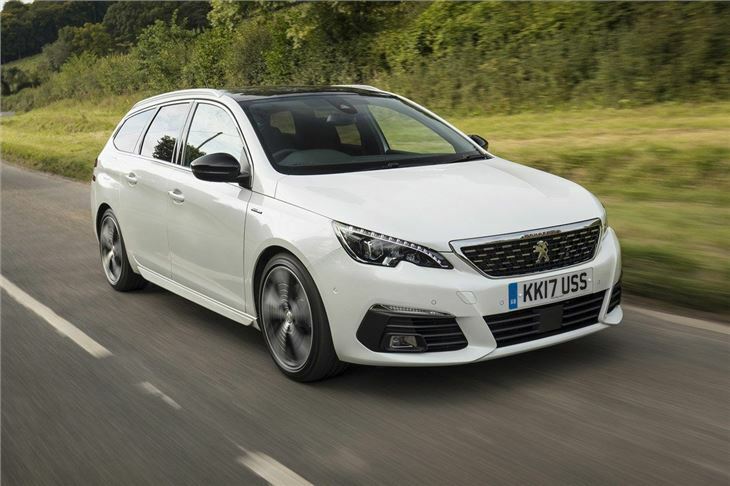 With such a good base to work from, the Peugeot 308 SW had every chance of being an excellent estate car from the outset - and it doesn’t disappoint. The well-made cabin and impressive refinement of the hatchback remain, but with one of the most spacious and practical rear load areas offered on a family-sized estate car. The load area itself is easy to access, with a wide opening and a low load lip. 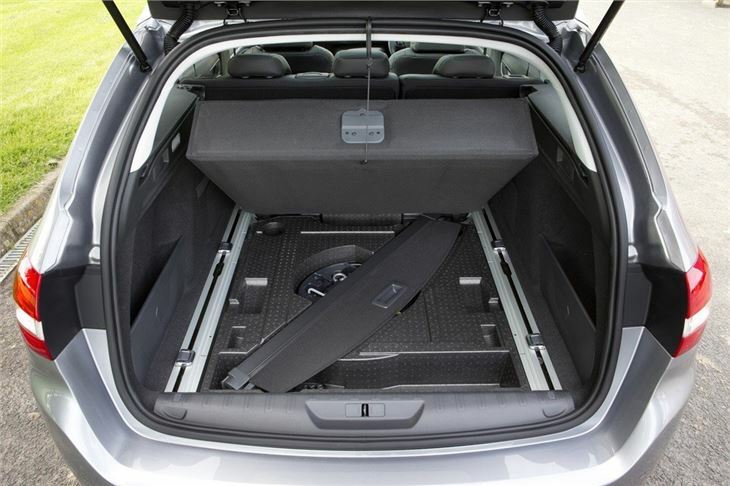 There’s a retractable, removable load area cover to keep 660 litres of load volume covered up – and if you have big items to carry there’s a simple one touch mechanism to fold the rear seats completely flat. With the seats down maximum load space is an impressive 1775 litres. In the back row there’s enough room to seat a pair of adults in comfort, with plenty of knee and headroom. Access is good, which is handy for loading and unloading child seats, although there are now only two Isofix mounting points for child seats – the previous generation model had three. 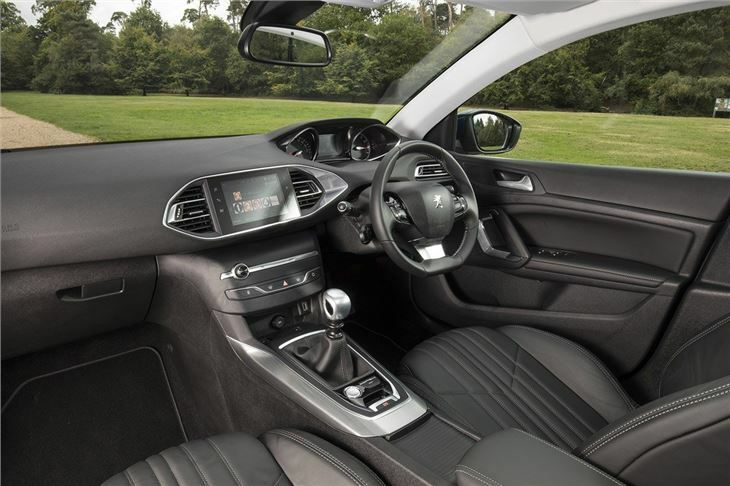 Not only is the 308 SW one of the most spacious cars in its class, it also has some of the most modern and efficient engines. The entry-level petrol model is a 110PS 1.2-litre turbo which, despite its size, is perfectly capable and offers low emissions of 109g/km. This engine is also offered with 130PS, plus you can get a range of diesels. The range-topper is a 150PS BlueHDi, which emits just 105g/km of CO2 and has official economy of 70.6mpg. 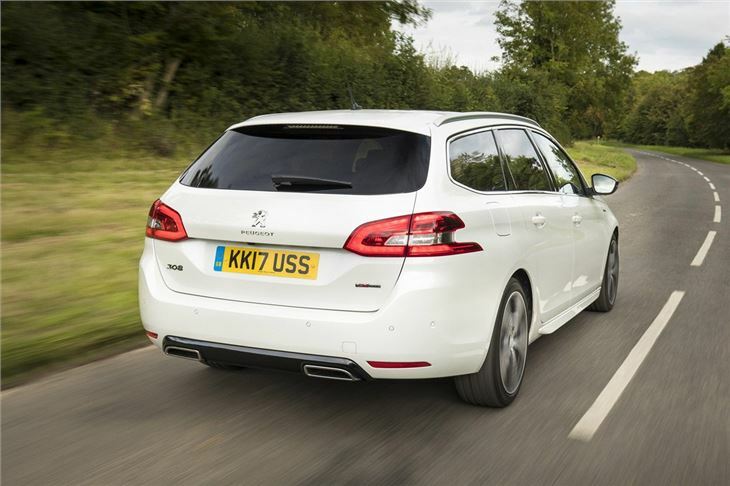 Despite being bigger than the hatchback the 308 SW is no more difficult to drive. The cabin is quiet and the controls well-weighted, so in or out of town the car is easy to get along with. It’s an impressive motorway cruiser too, even with the smaller 1.2-litre petrol engine under the bonnet. 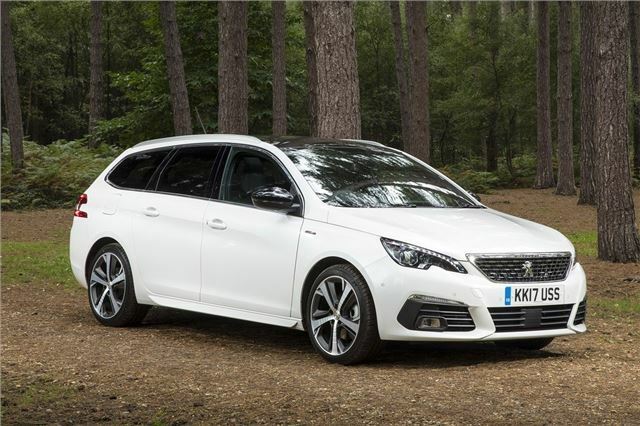 The 308 SW offers a great blend of comfort, style and practicality. 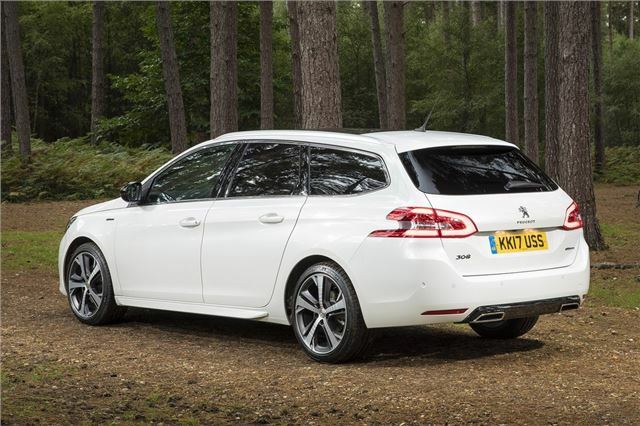 Add in low running costs, easy driving dynamics and impressive refinement and there’s a lot to like. 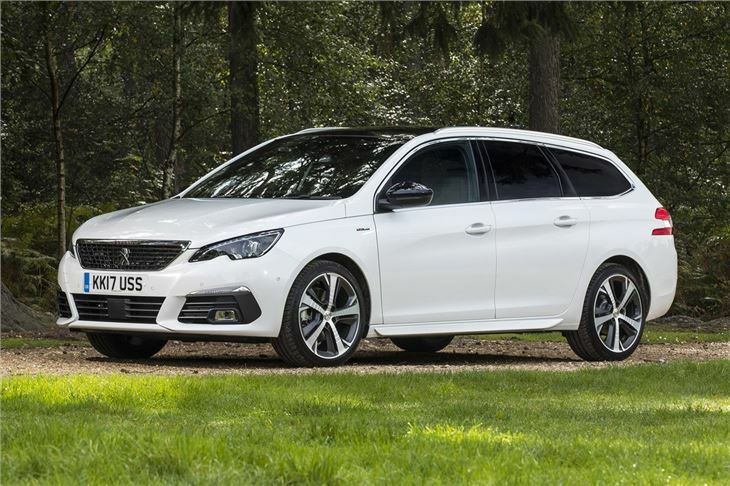 For those seeking a useable everyday estate car it’s certainly worth adding to the shortlist – but its competition from SEAT, Skoda and Volkswagen is very strong, while the Honda Civic Tourer offers a more flexible load area and cabin.